As people mature, they often realize that life is not about finding yourself (as they believed in their younger years), but about creating yourself. Some adults discover that Low T therapy helps them to do this; but which form of treatment do they choose, between testosterone enanthate vs. testosterone cypionate? And do they discuss their treatment options with their hormone replacement therapy medical providers before making their decision? Whenever mature adults find themselves facing a medical issue, such as the development of a symptomatic hormone deficiency, they should always be able to discuss their medical treatment options with their healthcare providers. In today’s world, people no longer need to depend on their doctors to serve as their sole source for medical information on the health problems that occur to them; the Internet has changed all of that. But they should be able to rely on the doctors providing their medical care to advise them on their choices for treatment. Adults who choose Nexel Medical for testosterone replacement therapy (TRT) will find that our doctors and clinical advisors can always be relied on to answer all of their questions about treating Low T, including the various forms of therapy that are available to them. They can easily obtain accurate and helpful information on all aspects of their treatment, including issues like using injectable testosterone enanthate vs. testosterone cypionate, or perhaps some other form of treatment altogether. Unlike some medical practitioners, we always take the time to make sure that our patients, or patients-to-be, are comfortable and confident that they have received all of the information they need to make a knowledgeable decision about getting medical treatment for their problematic testosterone deficiency. We believe that they deserve to know what the pros and cons of their various options are, along with knowing what is likely to happen if they decide to let their hormone disorder go untreated – because we believe that mature and intelligent adults want and can handle the facts that are associated with any health problem that they are experiencing. In topically applied gel, skin patch and cream forms of TRT, the supplemental male hormone is absorbed through the layers of your skin to varying degrees of effectiveness. In the injectable forms of treatment for Low T, the testosterone in injected directly into your muscles, typically the glutes, thighs or deltoids. This is the original form of TRT and it is the one that is still the most widely prescribed by hormone replacement therapy doctors today, because they know how consistently effective it has proven to be. But of the two most commonly prescribed injectable formulations, what are the pros and cons for patients regarding the use of testosterone enanthate vs. testosterone cypionate? Or are these pharmaceutically manufactured substances so similar that they are practically interchangeable? Let’s examine the individual characteristics of each so that you will be able to make an informed decision about which one you might prefer to use. It is estimated that among all US men using treatment for Low T, approximately 65% are using a prescribed gel and approximately 30% use doctor prescribed testosterone injections. This is most likely due to the fact that general practitioners treating patients for testosterone deficiency tend to prescribe the topical forms far more often than the injectable forms. Among HRT specialists however, the use of testosterone enanthate vs. testosterone cypionate is an issue that is discussed with patients far more often, since this is the form of treatment that will typically be recommended to them. It is interesting to note that many men who become dissatisfied with the results of using a gel or cream, or find the daily application process and precautions intrusive to their lifestyles, often switch to the injectable form of treatment. At Nexel Medical, our doctors primarily prescribe injectable testosterone cypionate; however, exceptions can be made to accommodate those patients who feel strongly about using the enanthate form or trying one of the topical forms. There is another comparison that is worth noting in regard to having TRT prescribed for you and it is the comparison between having it prescribed by your PCP or family doctor vs. having it prescribed for you by a testosterone replacement therapy specialist like Nexel Medical. In many instances, a general practitioner will prescribe TRT for an adult male patient based entirely on the symptoms that he has been experiencing. It will typically be one of the heavily advertised topical forms of treatment, as opposed to injectable testosterone enanthate vs. testosterone cypionate and be prescribed without having any male hormone blood levels testing performed to measure the patient’s available hormone supply. Contrast that with how experienced TRT specialists like Nexel Medical approach the testing and treatment process for Low T. To begin with, we can be accessed online by adults who feel that they may qualify for treatment based on their current symptoms and want to begin the process – it is much faster and more convenient than having to wait for weeks or longer to see their regular physicians, or specialists who may not even be located anywhere near them. Our procedures are all about immediacy and local availability; with just one phone call or email to Nexel Medical, adult living anywhere in the US, including Hawaii and Alaska, can have local blood levels testing and medical exams scheduled for them by our clinical advisors. Adults who are interested in using TRT are also able to submit their medical histories to our Nexel Medical doctors by using our website’s convenient online form for this purpose. It’s fast and easy to complete, and saves our patients time and trouble. When our doctors have completed their evaluation of a patient’s test results, medical exam and health history, they are able to prescribe medically correct male hormone replacement therapy programs for each patient individually that correspond to their personal requirements for effective therapy. 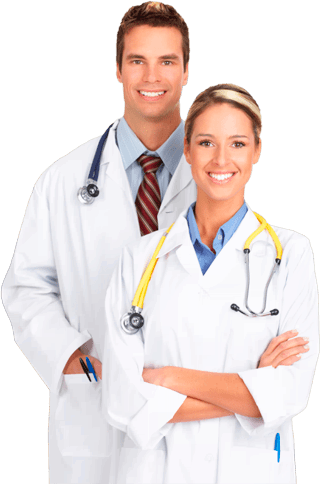 And at any time during this fast and easy process, the clinical advisors at Nexel Medical are always available to address issues such as using testosterone enanthate vs. testosterone cypionate, and anything else that people want to learn about using a doctor prescribed TRT program. With your Nexel Medical prescription for therapy, you will also be able to conveniently and securely order your treatment products online through our Internet-based pharmacy and have them quickly delivered right to you. Since you will ne self-administering your treatments, we provide patients with a step-by-step video that they can easily access online that clearly demonstrates the correct protocol to use. This is definitely today’s latest version of the process used for having TRT prescribed for you; and it has been conveniently streamlined and brought into the 21st century by online hormone replacement therapy innovators such as the doctors of Nexel Medical.